Hi Byrdie beauties! You probably already know I’m a bit brow obsessed, but recently I’ve also really gotten into skincare. It all started because a few months ago I began experiencing way more breakouts than I have before, and I began to develop cystic acne for the first time. So I decided to focus on getting my skin into shape. I made a bunch of changes to my diet, lifestyle, and skincare routine, and it’s really worked for me. Today I’m sharing all the details of how I completely turned my skin around. Scroll through my skin transformation story! I grew up with pretty clear skin, and in my early 20s I began experiencing breakouts from stress, poor diet, traveling, and not getting enough sleep—the most difficult being in the last few months. For me, I think I can attribute the breakouts to stress. Stress affects every area of life including sleep, hormones, and diet (go figure, I go for the Ben & Jerry's during high-stress moments). Another cause of my breakouts was travel. Travel can be really taxing on the body overall, and, for me, I found it was really drying out my skin. I think it was the combination of all these things that made my skin have a freak-out moment. I began to develop cystic acne, which is not even visible on the skin surface but occurs under the skin and feels like a sore bump. This can be really hard to tackle. For the first time, I had no idea what to do with my skin! This was awful considering I still had photo shoots, and other work that involved being camera ready. The stress of that alone probably made my skin even worse! This is when my esthetician Leslie and some amazing products came to the rescue! After making a few lifestyle changes and switching up my skincare routine, my skin has been crystal clear. After working with my esthetician, I began to understand that skin health goes far beyond how well you clean your skin every day or what you put on it topically. I realized the importance of a holistic skincare approach. To help with my breakouts, I started by changing my diet. I tried to incorporate more greens and cut out dairy. This made such a difference. To be honest, I have a major sweet tooth and, as mentioned above, I love ice cream. Ice cream has both sugar and dairy, which can be really hard for your body to digest. Once I cut this out of my diet for a while and added more greens, my skin began to clear up. I also tried getting more sleep and managing stress levels through meditation and yoga. Yoga has been a lifesaver! It has really helped with relaxation, sleep, and balance between work and social life. And now I can stand on my head. What’s not to love? Now for the products, I defer to my expert esthetician Leslie Kritzer of Mad Beauty LA. First up, what Leslie calls “the reset peel.” “Since Olivia is traveling so much and doesn’t have a lot of down time, I decided to do a gentle- to medium-depth retinol infusion peel on her,” Kritzer says. 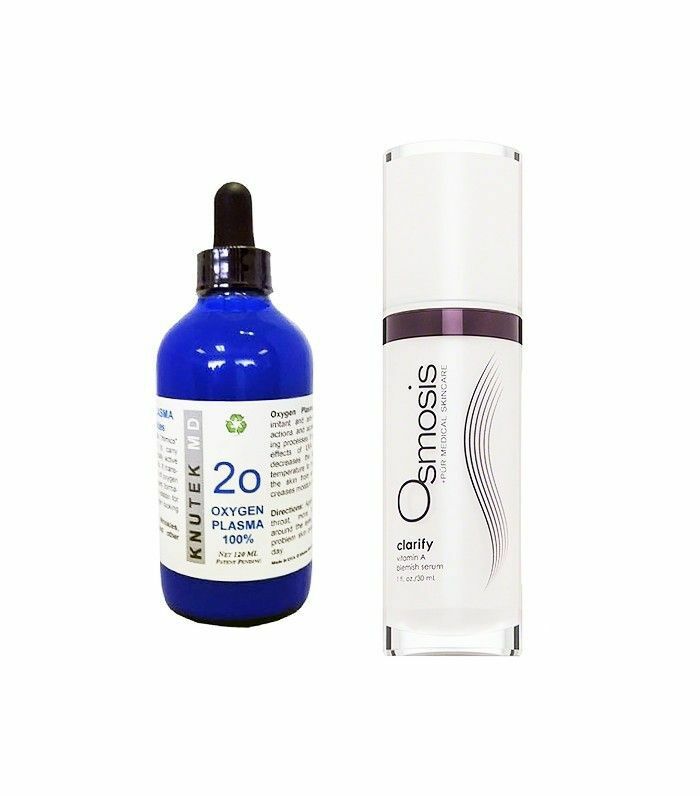 “It jumpstarts the skin to regenerate new cells. 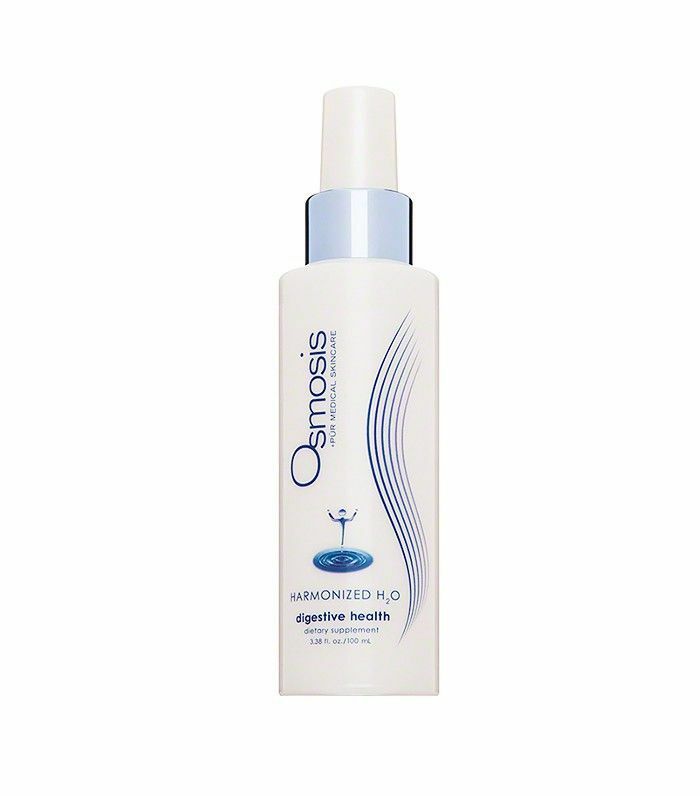 It’s unique because it avoids damaging the outer surface by penetrating several high-dose active ingredients into the dermis through liposomal delivery. Facial infusion offers results for acne, aging, rosacea, and hyperpigmentation. Keep scrolling for the complete breakdown of my skincare regimen! “I chose to give Olivia a sensitive skin formula because her skin is very sensitive. This cleanser will not strip away the skin’s naturally occurring acid mantle, which is our built-in defense against pathogens and bacteria. 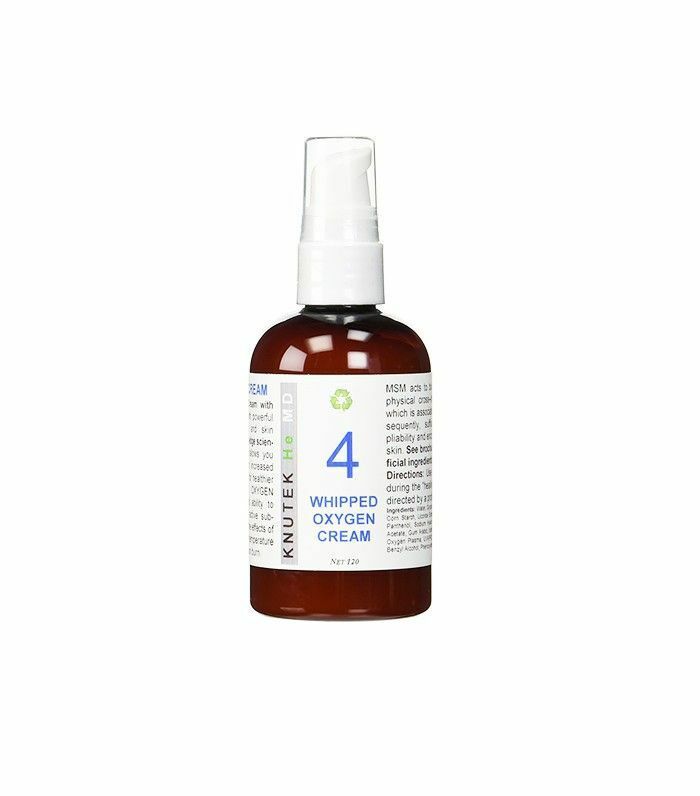 It also won’t leave the skin dehydrated and dry like most acne and foaming cleansers. 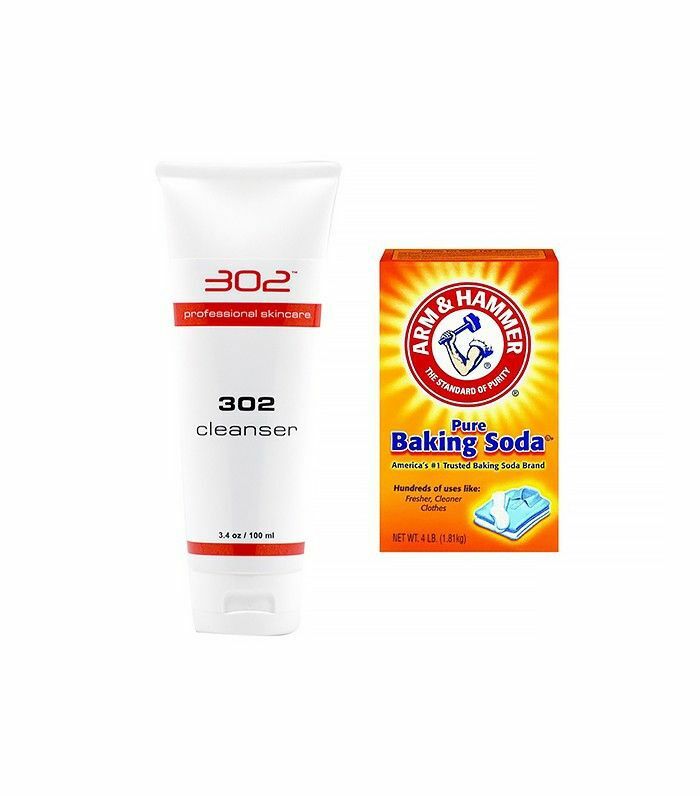 I asked her to get some baking soda ($7) to keep in her bathroom and use a pinch together with a pump of cleanser as a gentle scrub 2-3 times per week. This keeps the skin from getting clogged, tricks the bacteria by altering the pH of the skin, and the added bonus is, it’s a skin brightener as well. “This is an oral supplement. It’s used for all skin conditions including acne, eczema, psoriasis and rosacea. Olivia drinks five pumps mixed in 2–4 ounces of water a.m. and p.m. When I do start to notice a blemish forming, I immediately clean the area. I'll use my daily face wash, but also use witch hazel after to really make sure I remove all dirt and oil. Once I clean the area, I try not to pick or touch it at all. I've noticed how terribly my skin reacts when I touch it with my hands, which carry natural oils. (I know it can be tempting, but don't do it!) 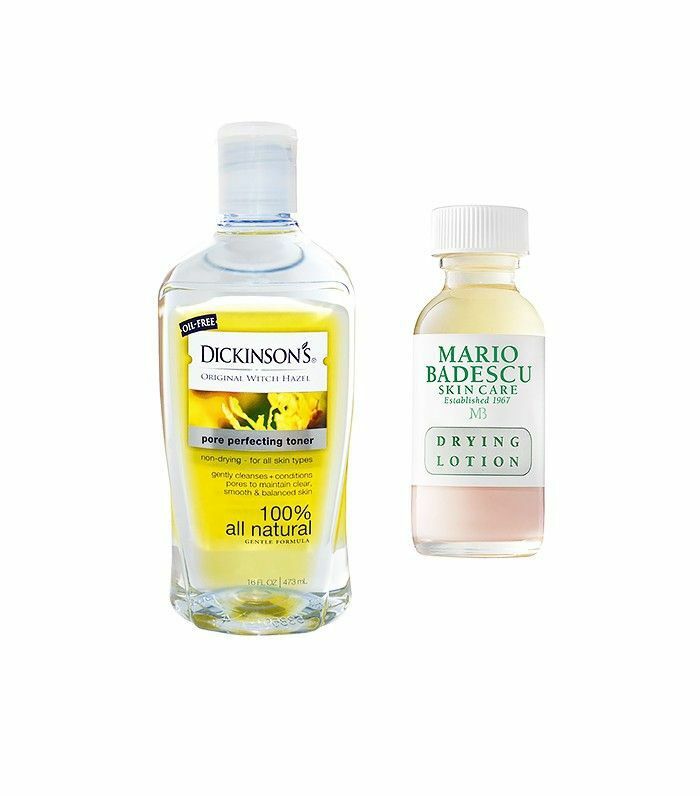 I also have a spot treatment that I'll use after witch hazel: Mario Badescu’s Drying Lotion ($17). I even sleep with this on a breakout to dry it out. Another trick I have is the Sirius Pulsar Blue Light Blemish Clearing Device ($25). Since my breakouts were more cystic and under the skin, this was really helpful for me. The blue light helped kill bacteria that was much deeper than on the surface of the skin. And I love to use Murad’s Acne Treatment Concealer ($30) to cover up blemishes. It’s a medicated concealer that contains a tiny bit of salicylic acid, so it treats the area and covers the blemish at the same time. It's one of my staples! Since traveling can cause my skin to act up, I take extra precautions when flying. While traveling I always carry Dickinson's Witch Hazel Formula Towelettes with Aloe ($4). I use these if my skin is feeling dirty and I don't have any way of washing my face. I also travel with a facial mist for hydration. My current favorite is La Mer’s The Mist ($70). For really long flights, I'll also bring an eye cream. I love La Mer’s Illuminating Gel ($145). 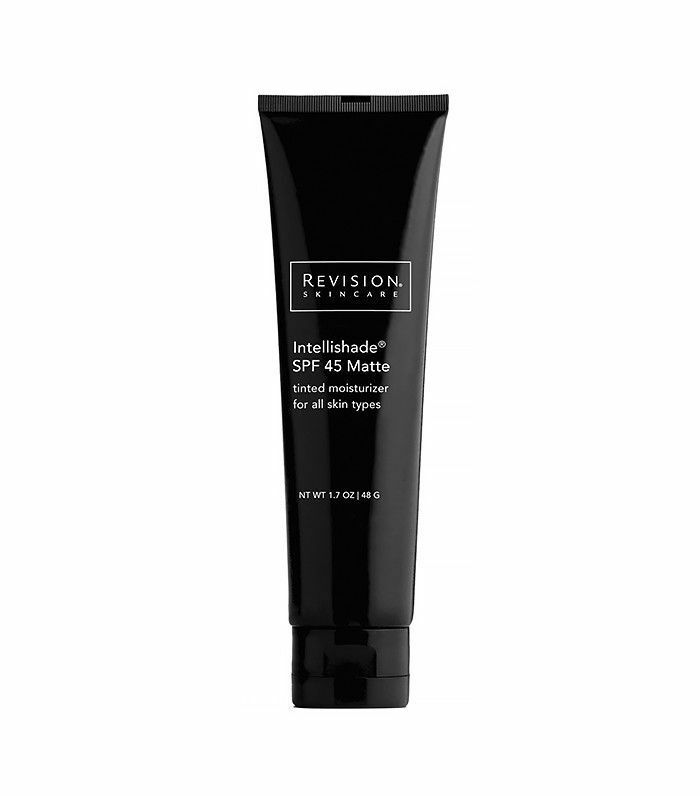 Do you have any miracle breakout-clearing solutions? I want to hear! Share what’s worked for you in the comments below!